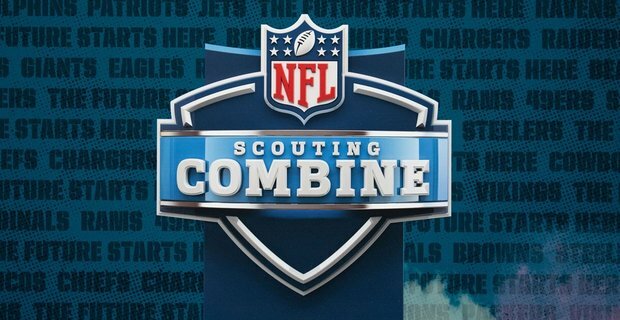 The NFL combine was another year of success for great upcoming pro athletes. Fans shocked and players proud to make their dreams come true. The combine started March 1st and went through March 4th. On the second day of the combine, one of the best combine performances ever was by Ole Miss Wide Receiver (WR) D.K Metcalf. He is a 6’3, 228 lbs and rock solid. He had the 3rd best 40 yard dash time with a 4.33 behind Ohio State track star Parris Campbell who ran a 4.31. He had the most reps in bench pressing with 27 reps of 225 pounds. He stunned a lot of scouts and fans and is now a top target in the draft. Lots of people were wanting to see Heisman winning quarterback Kyler Murray from the University of Oklahoma perform at the combine. Murray did not perform because he felt that he would be amazing and scouts would think he should switch his position at the pro level. Murray is projected to be the first overall pick in the NFL draft by the Arizona Cardinals. Other good performances came from a lot of players. Zedrick Woods, the Running Back (RB) for Mississippi, ran the fastest 40 yard dash time this year with a 4.29. The fastest ever 40 yard dash was just broken in last years combine by WR John Ross as he ran a 4.22. All of these players who were in the combine and even some who were not are trying to make the league and accomplish their dreams. The NFL draft is going to be held in Nashville, Tennessee on Thursday, April 25th through Saturday, April 27th. As excited as everyone is to see who their team will pick in the draft this year, there is so much talent. It’s time for Liberty’s swim team to make their 2019 rounds. Students were excited for the intramurals that had started for the new season’s team. The 2019 intramurals took place at the Multigen. They went from 2:30-3:30 every Wednesday and Friday. Everyone was welcome to participate and tryout. “The environment is kind of laid back, but you gotta work hard and be open to instructions. Medium people attend the intramurals,” said Connor Steffensen (10). 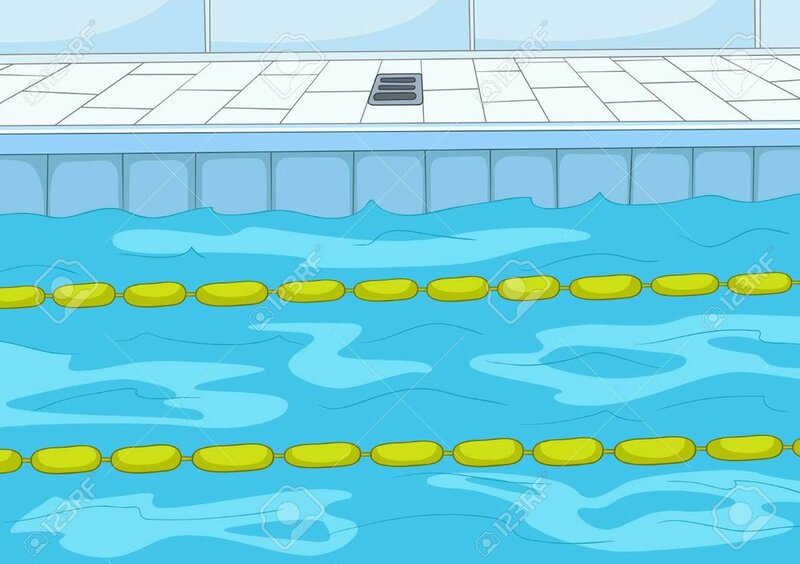 Liberty’s swim team’s first meet of 2019 is on March 2nd. They take on Basic High School at Heritage Park Aquatic Complex. On April 13th they take part in the Las Vegas Spring Break Meet, and on May 6th they start Regional Prelims at UNLV. “A lot of people are excited, especially me who is competing for the first time,” said Jacob Lutostanski (10). Liberty’s previous season was not successful, but they did have a few regional finalists compete. One relay made their to regional finals as well. “Previous season was pretty good, Liberty did pretty good in regionals. It was fun, a lot of hard work though. Based on the intramurals it is looking better because last year our boys team was lacking. It was harder to score points. If all the guys come out to try outs this year, the season could go better,” said Steffensen. The coaches of the swim team are Carolyn Battin and Ms. Michelle Lawell. Ms. Lawell is also the photography teacher for Liberty. They are both very experienced swimmers and love to take part in Liberty’s swim team. “They are both experienced coaches who know how to coach from their vast experiences. This affects me in that I am more effective as a swimmer, and last year I was able to progress far because of that,” said Steffensen. “The coaches are very supportive answering any questions you may have,” said Lutostanski. The students that take part in intramurals were ecstatic for the season to start. They believe they have a better squad than most, and they know their team is willing to put in the needed work. Liberty swimmers are excited for the 2019 season to begin and hope to cause an upset to the other schools. March 19th is the official day that kicks off March Madness 2019. After last years amazing championship game that hosted #1 Villanova and #3 Michigan. Villanova topped off Michigan 79-62 off of Donte DiVincenzo’s 31 point game. This year's March Madness tournament will hopefully bring a lot of attention and excitement like past years have. The whole talk of college hoops has been the young team of Duke. Freshman Zion Williamson is supposably the best college player in the country and is suppose to be the number one draft pick in next years NBA draft. Most say Williamson is the next Lebron James with his athleticism and many more talents. Others amazing players on that squad like Freshman RJ Barrett or Freshman Cam Reddish. This team is loaded and is looking to dominate March Madness. But when you talk about Duke, you have to talk about the one team that is ranked higher than them. Tennessee Volunteers, a team that has a record of 22-1 right now and is on a 18 game win streak… most in school history. This is by far the best Tennessee team in history and look to win their first championship in school history. There are plenty of other good teams to talk about that are shocking the college hoops world. Top teams like #6 ranked Michigan, #3 Gonzaga, #4 Virginia, #8 North Carolina and many more. Most of these teams have all won championships. Another team that has truly shocked the world of basketball is #7 Nevada Wolfpack. Sitting at the number seven team in the country with a record of 23-1. Nevada is defending their Mountain West Conference championship title from last season. The absolutely turned the program around fast from the season of 2016 where they went 24-14. There are plenty of good programs in the country that will all battle it out in March Madness to go chase a championship. Villanova will try to defend their title and try to go back to back. Only eight teams have ever went back to back from when March Madness started in 1939. Hopefully we will be entertained with another year of March Madness, remember all the fun starts March 19th. Let's wait and find out to see if someone can shock the world. Every team has a leader; the one who makes the calls to bring the team to victory. Every sport at Liberty High School has one captain, maybe more, depending on the coach. On the football team, Coach Rick Muraco chose four boys to be team captain this season. The captains include Kyle Beaudry (12), Luke Toomalatai (12), Austin Flaseu (12), and Brandon Yates (12). “I have been playing football since I was in 5th grade, and I am a 3 year varsity starter, ” Beaudry. These four boys brought the varsity football team a record of seven wins and six loses. “Being a captain is a special privilege. It’s a huge deal to have your teammates and coaches believe and put their trust in you and to lead the group,” said Beaudry. Another set of captains are the women's varsity volleyball team. The two captains were Abbie Johnson (12) and Sydnie Tuioti-Mariner (10). Tuioti-Mariner has been a two year varsity starter and this is her first season being a captain. Johnson has been a four year starter on varsity, and it’s also her first year being captain. These two girls took Liberty’s Varsity team to the playoffs and won their first two games, making them the first women's volleyball team in Liberty history to make it past the first round in playoffs. Liberty men's varsity soccer team had three captains this season. Angel Gilliand (12), Hayden Prasad (12), and Ivan Rodriguez (12). “I’ve been playing soccer for 14 years, and was on varsity all four years,” said Prasad. These three took the men's soccer team to the first round of playoffs with a record of 11 wins, eight loses, and one tie. “Being a captain means being able to pick the team up when everybody else is down,” said Prasad. The goal for all varsity team captains is to be able to take their team to state. There are many definitions of a team captain, all it means is to be there for your team, win or lose. Liberty High School’s varsity volleyball team made it to playoffs this season, on the road towards a state ring. Although they didn’t have a strong start to their season, they did not give up. They brought their record from one win and 13 loses, to five wins and 13 loses. They went on a 4 game winning streak. On the road to state in the playoffs, the first team Liberty played was Green Valley. Although Liberty took a loss to them during conference, that did not stop our Liberty girls from taking a win. Liberty won this game and it took them to quarter finals. LIberty's 2018-219 varsity team was the first team in all of Liberty volleyball history to win a playoff game. Liberty played Green Valley on October 30th, at 6 p.m. The game took place at Green Valley’s gym. The game winning point was won by Aiyana Evans (10) as she served a ball and aced on Green Valley. “Serving the game point is always the hardest part of a game. I am normally pretty relaxed serving in an average game but in playoffs, my heart was racing like no other. While I was serving, I stepped back and it felt like I had all the time in the world. After I served my teammates, coaches, and parents all ran to the court cheering” said Evans. In the quarter finals Liberty played Desert Oasis, who during conference beat our Lady Patriots. Unbelievably, our Liberty girls pulled another win bringing them to semi-finals. Liberty played Bishop Gorman in semi-finals. Bishop Gorman was some real competition. They’re number one in the state and number 10 in the nation. Liberty will play Bishop Gorman November 1st at 4 pm at Coronado High School. Sadly, in the semi-final game Liberty Patriots took their first loss in the playoffs. Jordyn Emmons (10) believes that they could have won that night. “If our team wasn’t so stuck on social media and the talk between Gorman and uz, we definitely could have won, we should’ve. Once everyone was so caught up on the negativity, our heads weren’t in the right place. We couldn’t get the job done because we weren’t focused on the task at hand, Liberty was stuck on pride and being petty” said Emmons. In the first set, the score was 25-7, giving Gorman the lead. Going into the second set, Gorman again won 25-9. In the third and final set, Liberty put up a fight and tried to take the game to four sets but could not keep up leaving the final score at 25-12.This kicked us out of finals and allowed Gorman to take their place in finals, becoming the 2018-219 state champions. The 2018-19 basketball season is just around the corner and our young Liberty Patriots squad would like to win state this year. December 6th is the exact date Liberty basketball will take the court against as they host conference rival Chaparral. This Liberty squad is a powerful young team. Lead by four star junior recruit Julian Strawther (11), this team is pretty strong. Ranked nationally as the #33 best player in the country, Strawther is a four star recruit with offers from some of the best basketball schools in the country like UCLA, Kansas, or Connecticut. These are just some of his 23 offers. The team last season ended with a final record of 18-10. They had a record of 5-1 at home, which speaks for itself as they open their 2018-19 season at home. The Patriots did make the playoffs last season but could not defeat 4A state champions Canyon Springs. Onto the key returning players; Julian Strawther as mentioned earlier, team captain Jordan Wafer (12) and sophomore point guard (PG) Kobe Stroughter (10), cousin of Strawther. 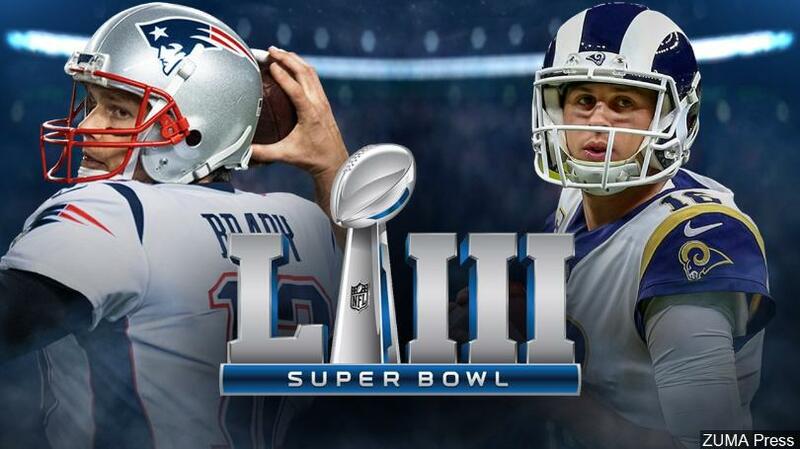 These players will be key to a successful season for the Patriots. “I feel like we have a great team and we have a chance to make it to state this year if we keep working hard,” said Stroughter. Based on last season stats and records, Liberty currently sits at the 25th best team in the 4A division out of 38 teams in the state. The opening game against Chaparral is going to be a fun one to watch because in school history, Liberty is 7-1 against Chaparral. Varsity Football hasn’t been what every fan expected this season, but on the bright side, our Liberty Patriots are going back to the playoffs. With a 3-4 record right now and one last upcoming game against bitter rival Coronado, we can end the regular season 4-4, with a chance to still win our 9th straight Sunrise regional championship. Liberty is 4-4 but should be 6-2; Liberty got into a bench clearing altercation with Desert Pines High School after we were already winning the game. The altercation cost Liberty and Desert Pines each two games, including that game as they had to forfeit. One of the games they had to forfeit was a divisional game against Chaparral High School. This left Liberty with a 1-4 record and some scary playoff chances. Last time Liberty didn’t make the playoffs was in 2008. Wide receiver Tyson Kohoutek (12) says that the ride to the playoffs has been rough and that no matter their record, this team does not give up. “The ride to the playoffs has been pretty tough because of the adversities the team has faced to get there… our record does not show what this team can do, I still feel as if we have a great shot to win state and hopefully we handle business through the first two games and then play Gorman and knock them out. Then we go win this schools first state championship,” said Kohoutek. Last season the Patriots came up a little short in the state semifinals to the 7 time, 4a state champs Bishop Gorman Gaels. Liberty looks to retrace their footsteps of last season’s playoff run, but to finally beat biggest rival Bishop Gorman. Transfer Quarterback from Kapolei High School in Hawaii, Noa Faoa(11), is leading this squad into the playoffs and says they will go in strong. “I don’t think it’ll be difficult as long as we really dial in and focus on the game plan the coaches have for the week then we’ll be good.” said Faoa. Before the playoffs Liberty needs to focus on this week's game against Coronado (11-2-18) so they can end with a record of 4-4, to get a better playoff seed (A seed is a competitor or team in a sport or other tournament who is given a preliminary ranking for the purposes of the draw). The Playoffs start next Friday night (11-9-18). We will see what happens and where Liberty places and what will end up happening on the journey this year. The women's volleyball varsity roster is stacked with skill. During preseason, in the LVI tournament, they took 3rd place in silver division out of 20 high school teams. During the conference season, although they have not had a great start with a record of 2-7, they are still fighting to get some wins to improve their record. The women's volleyball team is ranked 54th in the state. Their kills per set stats are up there at 7.5 while the national hitting average is at 7.7. Their hitting average is blowing past the national average percentage with them at 7.7. This year there is a brand new coaching staff. Coach Frederick Williams is the varsity coach. “Everybody wants to go to win state, my goal is to bring out the best in everyone of my players,” said Coach Williams. There are five seniors on the team this year, it’s their last year playing high school volleyball. Oceana Clemen (12) has been on varsity for all her four years. She will not be continuing her volleyball career in college. She is very sad that this is her last year playing high school volleyball. “To leave a legacy,” said Clemen. Senior night for them is on Monday October 22nd, and is also the last home game of the season. This game is against Bishop Gorman; Bishop Gorman's record in the conference is 5-0. The most current game that took place was Thursday October 4th. It was a home game against Silverado High School. It was an intense game going head to head. In the first set, Silverado High School won but Liberty High School did not give up. They came back and took the game to four sets. Liberty won everyone of the sets after that. One highlight from the game was when Jordyn Emmons (10) banged line, scoring a point for Liberty. The final highlight was when Brylie Brewer (12), as a middle, was set when the score was 24-22 and hit the ball off the block and it flew out and the final score was 25-22. Liberty won the game after four sets. The Liberty Patriot’s (nationally ranked 40th) 2018-19 football season kicks off this friday night (8/23/18) in Arizona against the second best team in AZ, Saguaro Sabercats. Week three is the week that all of us Las Vegas high school football fans have been waiting for, for about four months now. Our Liberty Patriots will face off against nationally ranked #3 IMG academy from Florida. IMG has three players on their roster that are top 50 players in the country. Defensive End (DE) Nolan Smith (12) is ranked the best player in the country going into his senior year. A couple of weapons on the offensive side of the ball for the Ascenders is Running Back (RB) Trey Sanders (12) and Offensive Tackle (OT) Evan Neal (12). In the past five years, IMG has a grand record of 47-3. There last lost was in 2014 to St. Johns High School in Washington D.C 35-2. Enough about IMG, Let’s move onto our Liberty Patriots who have won eight Sunrise Regional Championships in a row and look to defend our title. We are 54-13 in the past five years as a team. Team captains Troy Fautanu (12), Kyle Beaudry (12), Luke Toomalatai (12) and Jeremiah Tai’ese (12) look to make their last ride as a Patriot an undefeated season. The game vs IMG is here at Freedom Field on September 7th under the lights for the Polynesian Classic game. The game be live on tv on the CW. Speaking of team captains Troy Fautanu has a huge decision this offseason as he has 21 offers and every school in the Pac-12 besides Stanford. Troy plays Right Tackle (RT) and he looks to dominate Nolan Smith on September 7th. Zyrus Fiaseu (10) was a big part of Liberty's success last season as he earned division one offers from top schools in the country and his play was huge also. To Fiaseu being able to play for a top school in the country is an opportunity to let everyone in the country know who Liberty football is. Liberty will be ready for IMG and we have to wait and see how this battle goes. Let's hope for another great Polynesian Classic. Nevada’s high school passing yards record leader, Kenyon Oblad made his decision at the end of last season to commit to our hometown UNLV Rebels on a full ride scholarship and was named a “hometown hero” by his decision. “I am very happy with choosing UNLV and am very excited for what’s in store,” said Oblad. Oblad graduated early from Liberty last year to get a head start at UNLV and get to know the campus. Getting to know him a little, he was a four year starter as the varsity quarterback (QB). Oblad is doing very well at UNLV right now between school and Football. “I get most reps with second string at the moment and is still competing for the starting job,” said Oblad. Former Mountain West (MW) rookie of the year Armani Rogers is the “so called” starter right now as a sophomore. Oblad is on the UNLV roster 100%. He made the travel squad which means he will travel to all the away games. He enjoys all of his time there at UNLV. “The dorm life is awesome, meeting new people and everything, it’s a great experience and making a lot of friends,” said Oblad. Oblad thinks he is doing a good job right now between learning the offense and school. “I’ve learned 95% of the offense and have it down pretty well and that practices are very fast paced and high tempo. There isn’t a second wasted with distractions. So all and all i’m doing pretty good,” said Oblad. Kenyon seems like he is enjoying the college life and is working hard to be named the starter by sometime this season or the next. Liberty High has some more exceptional athletes like linebacker (LB) Kyle Beaudry(12) and safety (SS) Austin Fiaseu(12) who be joining Oblad next season in the UNLV locker room. All we can do is wait now and see what happens next at UNLV as they face USC this upcoming weekend (9-1-18) in California, it’s going to be a good one.